Could a legendary Jedi master be making his return in Star Wars: The Last Jedi? A new interview with Frank Oz certainly makes it seem so. The actor and puppeteer who brought Yoda to life in five previous Star Wars films (first as a puppet in the original trilogy, then returning to provide his voice in the prequels) spoke with Variety recently, mainly about the legacy of The Muppets though he had to dodge a question about the future of Star Wars. The fact that he says he can't say anything about it speaks volumes. We know he recorded some sort of vocal cameo for The Force Awakens, that was ultimately cut (it would have been a part of the "Force back" scene. If Force ghosts are to appear in the sequel trilogy (and, really, it would be weird if they didn't), Yoda is the easiest to make happen. 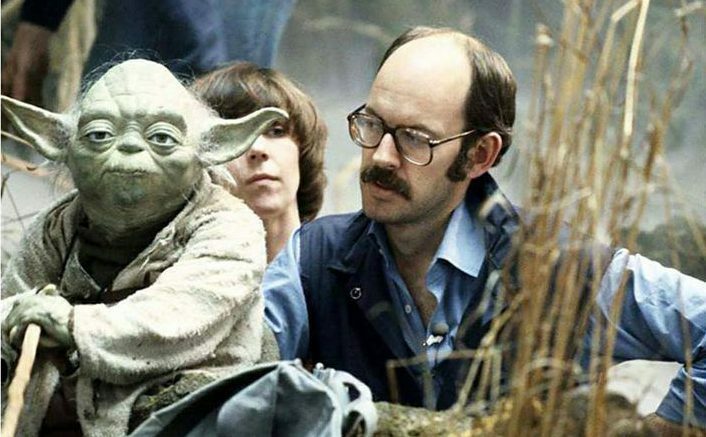 Unlike Sir Alec Guiness as Obi-Wan, Frank Oz is still around and capable of reprising the role. And Yoda is a universally beloved character, where as opinions are split on Hayden Christensen's Anakin (personally I would love to see that, but I also know there plenty who wouldn't be so thrilled by that notion). I think we can all agree it would be exciting to see a Force ghost Yoda in the sequel trilogy, and it sounds like there's a good chance we'll see it. Do you see “Star Wars: Rogue One”? I have not. I have my Academy DVD. Tell me something. How do people see everything? But you did see “The Force Awakens”? I thought J.J. Abrams did a great job of synthesizing all this information. It was a tough thing for J.J. to be asked to do—to transition to a new family of “Star Wars” and still pay homage and respect to the others. It’s different from the way that George Lucas would have done it. George would probably have had a more overall arch that would follow the other stories and have a moral depth. But, my gosh, what J.J. did was really entertaining. It was so much fun. Star Wars Episode VIII: The Last Jedi hits theaters on December 15th. The film is written and directed by Rian Johnson and stars Mark Hamill, Daisy Ridley, John Boyega, Adam Driver, and Carrie Fisher. Regarding whether Obi-Wan's ghost can appear, I'd be happy with Ewan McGregor impersonating Alec Guinness with a gray wig and conventional aging makeup. Don't even bother with CGI, just deal with the fact that McGregor is the legitimate successor in the role.